In its latest ploy to undermine NATO, Russia is urging cooperation with the Afghan extremists even as their ties to al Qaeda grow deep. In December 2015, Zamir Kabulov, who serves as Vladimir Putin's special representative for Afghanistan, went so far as to claim that “the Taliban interest objectively coincides with ours” when it comes to fighting ISIS head Abu Bakr al Baghdadi’s loyalists. Kabulov even conceded that Russia and the Taliban have “channels for exchanging information,” according to The Washington Post. Earlier this month, the Taliban released a major documentary video, “Bond of Nation with the Mujahideen.” The video included clips of the Taliban’s most senior leaders rejecting peace talks and vowing to wage jihad until the end. It also openly advertised the Taliban’s undying alliance with al Qaeda. At one point, an image of Osama bin Laden next to Taliban founder Mullah Omar is displayed on screen. Photos of other al Qaeda and Taliban figures are mixed together in the same shot. Kabulov claims that ISIS “operates much more smartly” than al Qaeda and has “learned from all the mistakes of al Qaeda.” He says Baghdadi’s enterprise has “brought more advanced and sophisticated people to design, plan, and [execute] policy.” Once again, the exact opposite is true. Al Qaeda has long known the pitfalls of ISIS’s in-your-face strategy, and has smartly decided to hide the extent of its influence and operations. Zawahiri and his lieutenants have also used ISIS’s over-the-top brutality to market themselves as a more reasonable jihadi alternative. And both the Taliban and al Qaeda are attempting to build more popular support for their cause as much of the world remains focused on the so-called caliphate’s horror show. 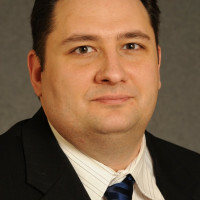 Thomas Joscelyn is a senior fellow at the Foundation for Defense of Democracies (FDD) and senior editor of FDD’s Long War Journal.